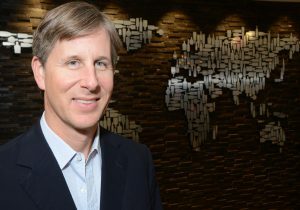 Just weeks after the 2018 TFWA World Exhibition in Cannes, Travel Markets Insider sat down with Marshall Farrer, Brown-Forman’s Senior Vice President, Managing Director, Global Travel Retail & Developed APAC, at the Louisville headquarters of the American Whiskey giant. With Jack Daniel’s leading the way, a growing portfolio of bourbons featuring Woodford Reserve and Old Forester, and new scotch and Irish whiskeys in the fold, Farrer tells TMI that he is bullish for the future for the company’s portfolio in travel retail. “For us travel retail is a major growth generator for Brown-Forman’s business globally. Brown-Forman is approaching travel retail with greater emphasis on customer alignment than we ever had previously. We are looking to partner with our customers, listen to what drives their business and bring solutions forward to them,” Farrer told TMI. Brown-Forman’s travel retail success is driven by Jack Daniel’s, which moved up one position in the IWSR rankings to become the second biggest brand in travel retail in 2017. “Jack Daniel’s embodies the spirit of America, the pinnacle of authenticity, an independence mind-set and, despite what your politics might be, there is a wonderful energy around Americana. And Americana is expressed really well by a small sub-set of brands and Jack Daniel’s is certainly in that group,” says Farrer. “The bulk of the efforts around Jack Daniel’s for many years was in expanding its availability in travel retail. But we had under-leveraged the opportunity to penetrate the shopper more deeply and fully promote the brand. We’ve put a lot of energy behind increasing visibility, expanding our range with an emphasis on premiumization and deeper penetration into emerging markets. 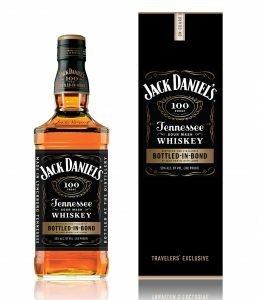 Jack Daniel’s has traditionally done very well in developed countries, particularly in North America, Europe, and Australia, but Farrer sees even more potential ahead with an expanded range and TR exclusives. “Foreign exchange can impact us because JD is one of the few major brands in travel retail that is produced in the United States and has a dollar source behind it. But we see nothing but opportunity. “We had never really engaged significantly in travel retail exclusives. But our customers say exclusives are a high priority for them. We have entered that space significantly with Bottled in Bond and reports thus far have been nothing but positive. “I would like to think that there are other opportunities for exclusives and customization as we go forward,” he commented. Even with an expanded Jack Daniel’s portfolio, Farrer says that Old No. 7 globally is the heartbeat of the trademark. Farrer points out that there is incredible energy around bourbon and American whiskey in general, generating great consumer interest. Brown-Forman’s Old Forester bourbon is helping to fuel this growing interest. “Old Forester is a brand that brings credentials at a time when consumers are looking for that next level of depth, story and authenticity around a brand,” he says. After years of ups and downs for Old Forester, Brown-Forman sees the bourbon boom enduring and has backed up this belief by opening a new $45 million, 70,000 square foot Old Forester distillery on Louisville’s famed Whiskey Row in the summer. Brown-Forman has begun expanding Old Forester, which is known for its value, into travel retail as well, “with some decent success,” says Farrer. The success Brown-Forman has had with Woodford Reserve in travel retail has given the company the confidence to invest behind Old Forester, explains Farrer. 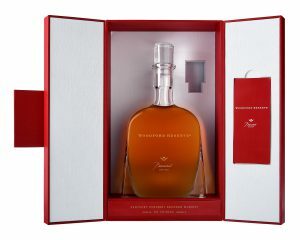 In Cannes, the company took Woodford to the next level of luxury and announced the launch of Woodford Reserve Baccarat Edition, a limited edition bourbon available for $1,500 a bottle exclusively in duty free stores for one year starting May 2019. The 90.4 proof bourbon, which is further aged in hand-selected XO cognac casks, is the first and only American whiskey to be bottled in Baccarat crystal. “We are launching this luxury product in travel retail because sophisticated consumers are seeking premium brands — and Woodford Reserve leads the ultra-premium bourbon category globally,” Farrer said at the launch. Premiumizing is key for the company’s whiskey portfolio, Farrer told TMI. The company has premiumized its American whiskeys and has also moved beyond its traditional American whiskeys into single malt scotch and into Irish whiskey. In 2016 Brown-Forman got back into the scotch whisky business by purchasing The BenRiach Distillery Company for about £285 million (approx. 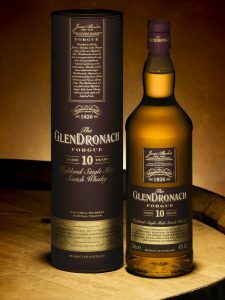 US$416 million), which added three Single Malt Scotch Whisky brands into Brown-Forman’s growing whiskey port-folio: The GlenDronach, BenRiach, and Glenglassaugh. Since then, Brown-Forman has introduced the brands in travel retail with great success, creating exclusive products for the channel. “When we acquired the Scotch brands, they sold virtually zero in travel retail, which we saw as an instant opportunity. “There was a lot of articulated customer demand, particularly for GlenDronach and BenRiach. “More than any other category in travel retail single malts have been built on travel retail exclusive SKUs. So we established a travel retail portfolio and have seen great take-up by our customers and really nice performance at the consumer level,” he says. 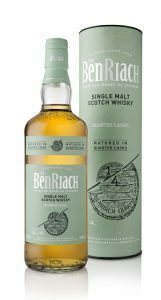 Farrer places two of its brands –BenRiach and Glenglassaugh – in the “discovery phase” in that they appeal to consumers who are looking for that next level of taste and education and experience. GlenDronach plays more in a single malt niche category, in the sherry matured sector, he says. Brown-Forman’s Slane Irish Whiskey is starting to gain distribution in travel retail, with a focus on the Irish market. “Because we have very small production for Slane right now, we are going to build out from Dublin, where the credentials are for Irish whiskey. Slane is closely located to Dublin and all of our primary emphasis is going into making it successful there. While Brown-Forman is predominantly a whiskey company, it also plays in the Tequila and Vodka categories with Herradura and Finlandia. Super premium tequilas continue to grow impressively in the United States and Mexico, but the category has struggled to demonstrate that same opportunity globally, says Farrer. “Herradura is a fantastic brand for travel retail. We have pockets of success that we will continue to build out. The brand is largely a regionalized opportunity for us, but one that contributes well,” he adds. “Finlandia is such a strong brand in what we call the vodka heartland. It is a top 25 brand in all of travel retail and we still think that its best days are ahead. Brown-Forman has invested more resources in the cruise channel in the past few years, says Farrer. “Cruise is an experiential channel and we think today’s consumers prioritize experiences more than prior generations have. In an experiential cruise environment, consumers are getting trial and awareness of your brands, and bringing great memories back. We think that is a winning mix. “Our customers are interested in participating in tastings and flights and providing these educational experiences onboard, which is a great opportunity. Cruise ships have so improved and invested behind the onboard experience. We want to be a part of those consumer experiences. “Some cruise lines want to get behind super ultra-premium and even luxury products onboard. And with cruises so much better segmented now, we are going to target these cruise ships for luxury, target these for whiskey sampling, target these for tequila drinks. There is a lot you can do.